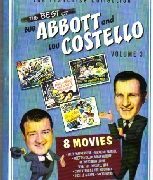 By popular demand, the legendary Bud Abbott and Lou Costello are back in eight brand-new-to-DVD comedy classics! Still one of the greatest comedy teams in the history of show business, their films continue to generate new legions of fans around the world. 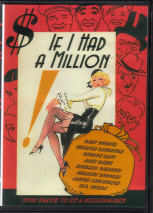 Now some of their greatest gags and most stellar skits, including the complete version of their signature routine "Who’s on First? ", are available in this side-splitting collection. It’s the boys at their very best and illustrates why Bud and Lou rightly deserve their place among the brightest stars of the silver screen! Bud and Lou hit the slopes at the Sun Valley Resort after getting mixed up with gangsters. The boys find themselves in hot water after a plumbing job goes wrong at a high society bash. Bud and Lou head to campus and attempt to save Bixby College from closing down. 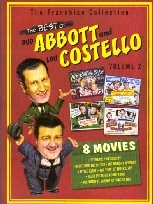 Set aboard the River Queen showboat, Bud and Lou perform their legendary "Who’s on First?" routine. Lou plays a little man with big dreams…and ends up selling vacuum cleaners! Mistaken as a traitor, Lou’s ghost is trapped in Danbury Mansion until his innocence is proven. Bud and Lou return to civilian life and get involved in midget car racing in the sequel to Buck Privates! 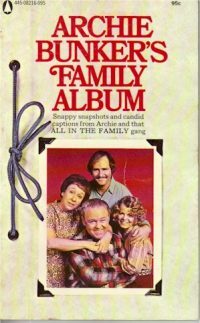 Accused of murder, Lou is forced to take care of a widow and her children on a farm.